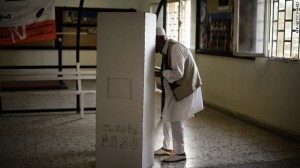 In Tripoli, Libya, officials have begun to count the votes from the ballot boxes from the historic parliamentary election in the Middle East state. After finally brining down the tyranny of former dictator Moammar Gadhafi, the state has officially moved on. Not only has it moved on, but also it has done so in the spirit of democracy. In the last 17 months, the Libyan people began their protests against Gadhafi, entered into a civil war, dealt with intervention from the United Nations, saw the death of Gadhafi, and now have finally turned the page to a new chapter with leadership that they can support. A total of 1.7 million citizens came out to vote on Saturday. 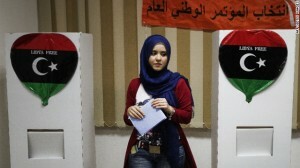 2.8 million Libyans are registered to vote, meaning that with 60% of voters coming out to vote, the Libyan election is close to par with presidential elections in the United States. A few polling locations were still open on Sunday after some protesters kept voters from entering the polls on Saturday. As citizens put in their votes in the North African state, citizens celebrated the official transition into a democracy. The key point of celebration has been in Tripoli in Martyr’s Square. The location used to be known as Green Square and was a symbol for Gadhafi’s political views. The citizens of Libya had good reason to be excited over the election, as it was the first one to take place since Gadhafi took control and held onto it for 42 years. Many in Libya and around the world are seeing the election as a sign that all the lives that were lost in the battle against Gadhafi were not for nothing. All of the lives lost are now seen in an even more heroic light as they truly did become martyrs for their cause and at the end of the day their goal was in fact accomplished. Egypt, Libya, Syria, Tunisia, Yemen, and Bahrain have all been seeing protests and uprisings in the last year. In the Middle East and North Africa, the people are no longer tolerating totalitarianism and dictatorship and are demanding democracy and for their voices to be heard. In some countries, the revolutions have been quick and swift and in others like Libya it took a great deal of time and lost lives to get the desired results. But this is not just about how many countries have successfully switched their governments, it is about the fact that so many have seen uprisings in just the last 18 months. While it is not 100% of the people in the Middle East and North Africa who want to become a part of a democratic nation, the tipping point has been reached in some countries and will soon be reached in the rest. But where the ball stop rolling? Does it stop rolling? Is the rest of the world slowly coming to desire democracy? That is a tough question to answer. Take China for instance. 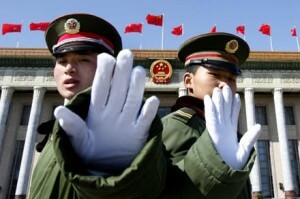 China is the most populated country in the world and in terms of GDP, it is second only to the United States of America. China’s economy is growing and many experts would argue that it is on pace to take over as the number one economy in the world. How much does the success of the government economically play into whether or not people revolt? The Libyan people are now enjoying their success after a dictatorship, but this does not mean that all countries are moving in the same direction. Many factors have to come together for a revolution to be sparked.